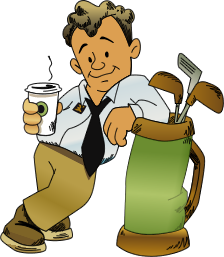 The efficiency of your business depends upon the constant and smooth flow of customers. 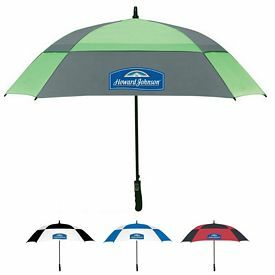 Make sure that they know about you so that you are a prominent part of the market with the use of our promotional golf umbrellas. 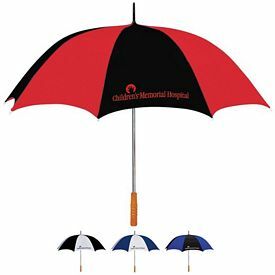 If you use our customized logo golf umbrellas to promote your company, it will leave a positive impression upon your customers. 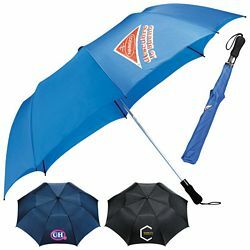 These promotional products are great if you own a sports equipment shop or deal with golf products. 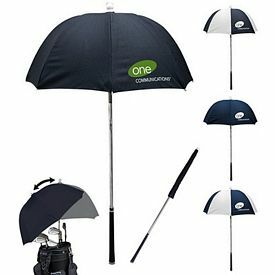 Playing golf can be a very wearisome task if you are without a golf umbrella. 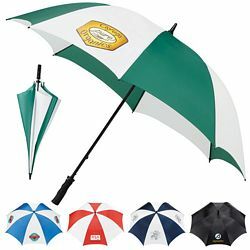 Standing in the sun and heat for too long can steal away the charm of this game, so the golf umbrella is a vital part of golf equipment. 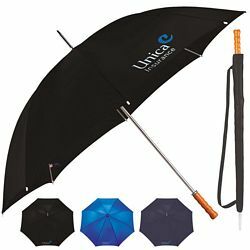 It is very important that imprinted golf umbrellas are made out of very good quality material. 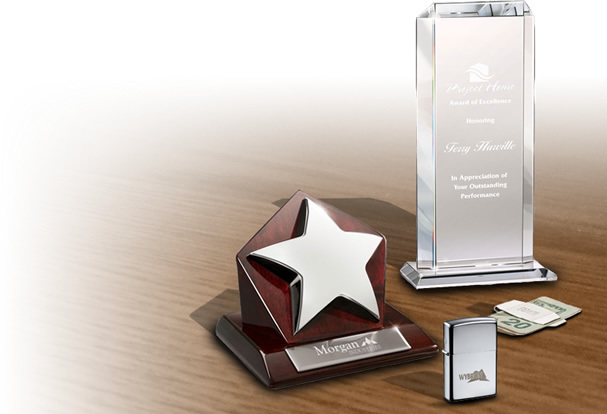 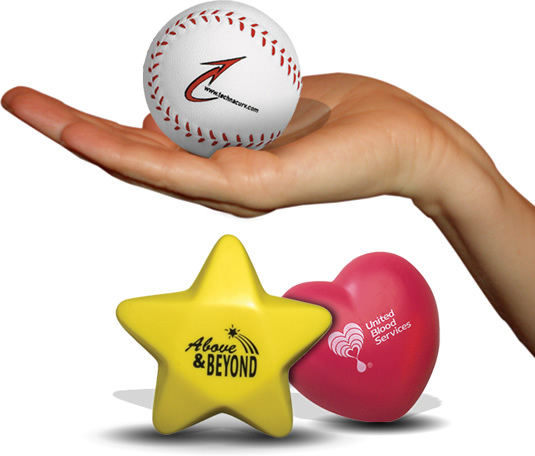 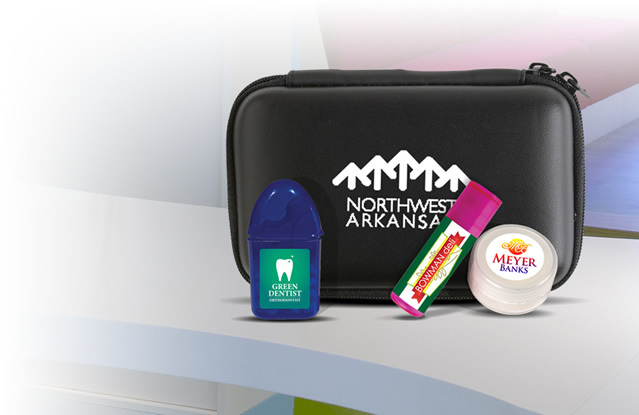 These customized products represent your company and help in forming a brand image. 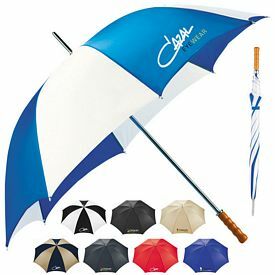 A good and reliable promotional golf umbrella can resist wind and is flexible. 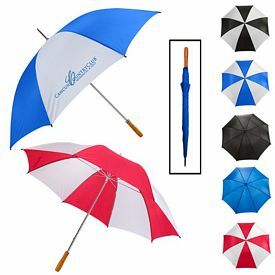 This makes the product very long-lasting, so that it stays in frequent use. 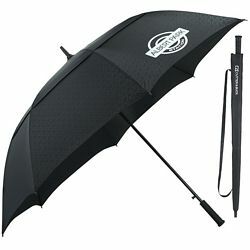 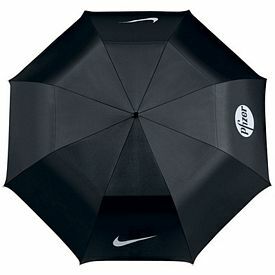 Custom golf umbrellas should be built in a way that it can fit into the golf bags of the players. 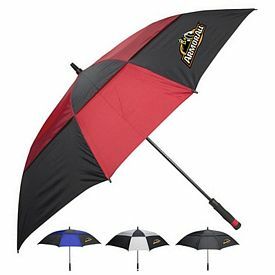 They should also be big enough to provide cover for the players so that they can be protected from all the external elements. 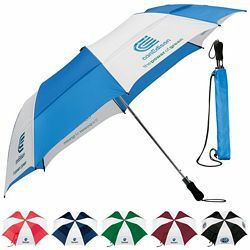 Promotional golf tournaments are always a great place to distribute the logo golf umbrellas, because your target audience is right in front of you. 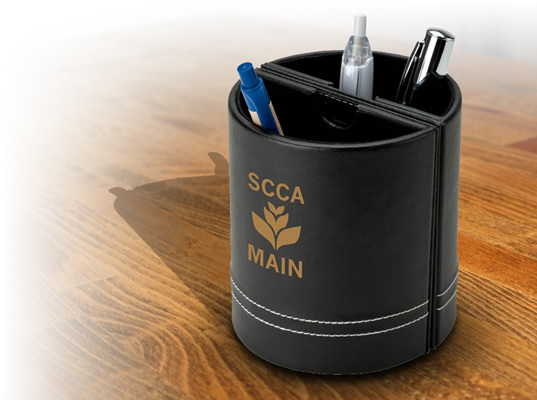 We don’t charge any kind of setup fees on our products so you don’t have to worry about your investment getting too expensive. 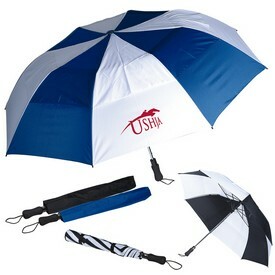 Try to order larger quantities of branded golf umbrellas at once in order to maximize your savings. 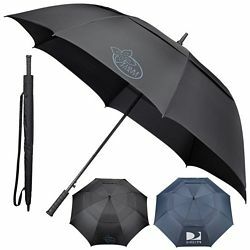 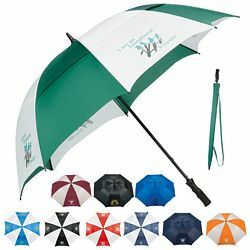 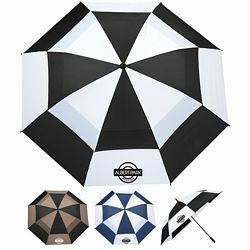 Being a part of a tournament or event will give you a lot of exposure as a large number of people will be able to look at the personalized golf umbrellas. 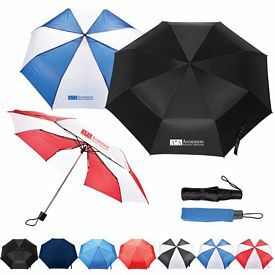 Choose the patterns, colors, and designs with care so that a perfect theme is created for your company to base its marketing on. 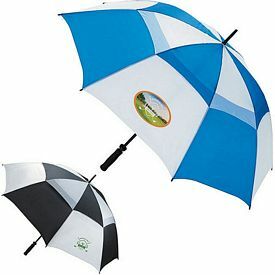 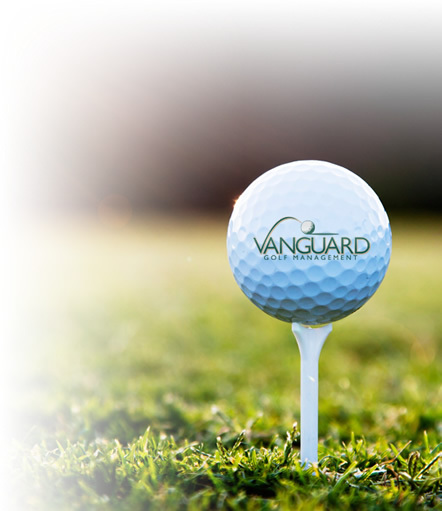 We offer a wide range of products that will suit your needs for all sorts of golf advertising. 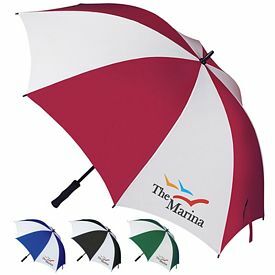 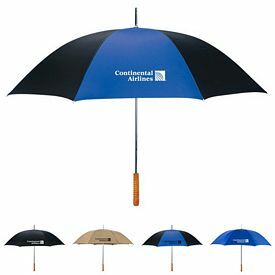 We carry many different shapes and sized of umbrellas so that you can find a product that is right for your business. 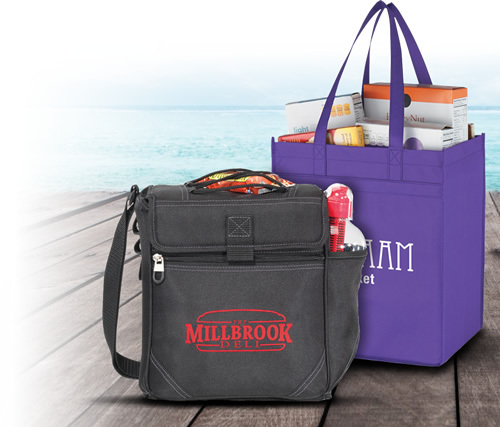 Just browse through the online catalogs to know everything about all of our promotional products. 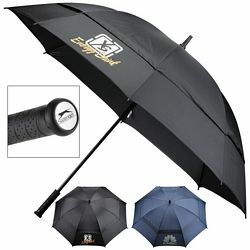 Our promotional golf umbrellas are a great accessory that every golfer needs. 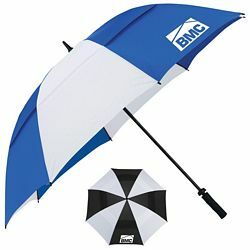 Imprint company logos on the large imprint area on customized golf umbrellas for maximum company exposure. 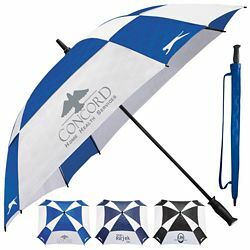 These are sure to be a big hit at your next advertising event, tournaments or promotion! 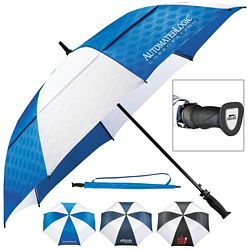 The Executive Advertising takes care of your advertising needs by providing the best promotional golf umbrellas for your company!